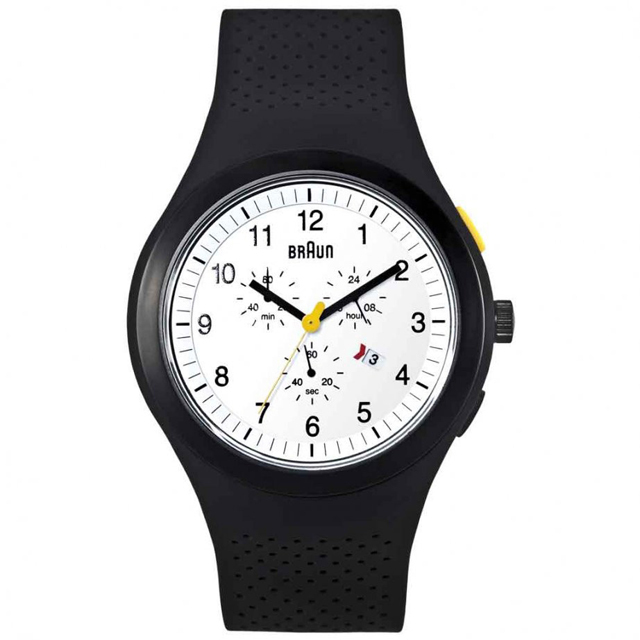 Germany’s leading brand, Braun, introduces a classic Chronograph Sports Model watch to its roster of stylish men's watches. 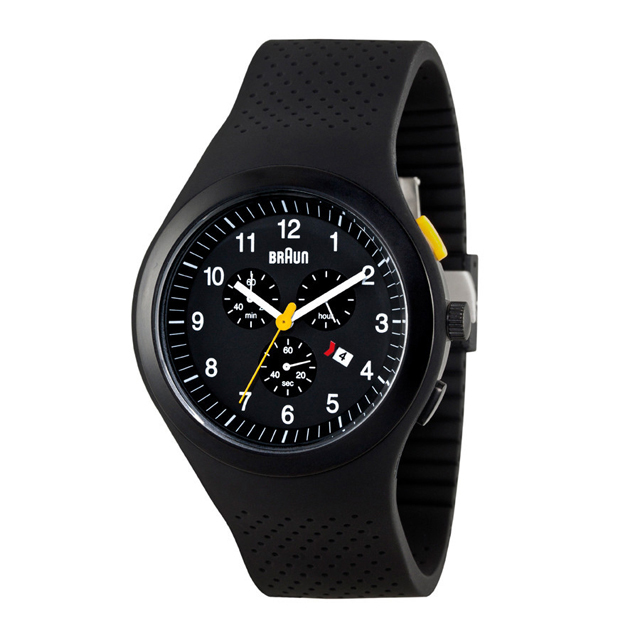 The Sports Chronograph features a quartz movement, housed in a custom adjustable black silicon band and available with either a white or black dial. 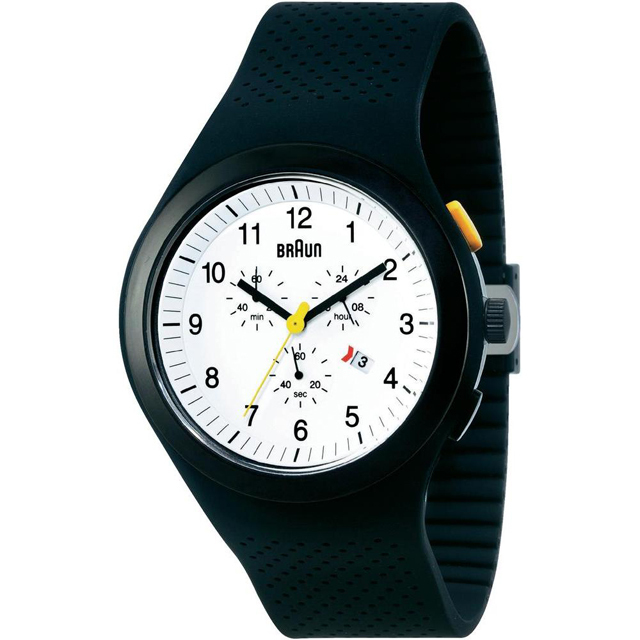 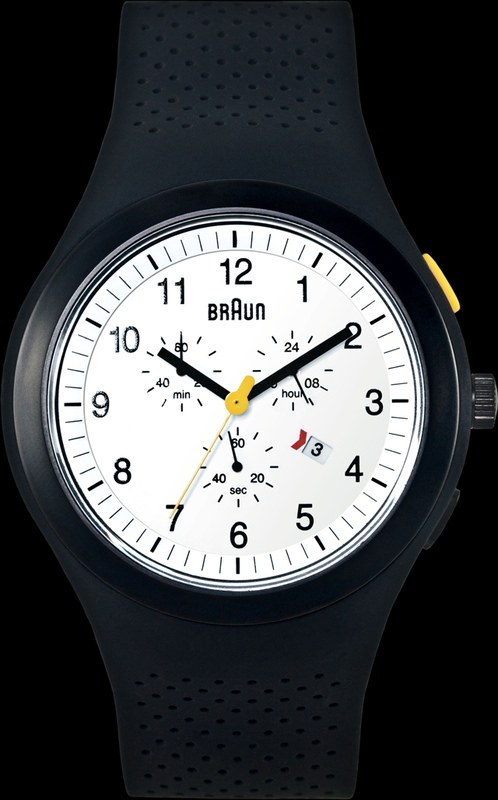 The Sports Chronograph by Braun is backed with stainless steel and water resistant to 250 feet.